Hear how others have supported us. All the forms and information you need. 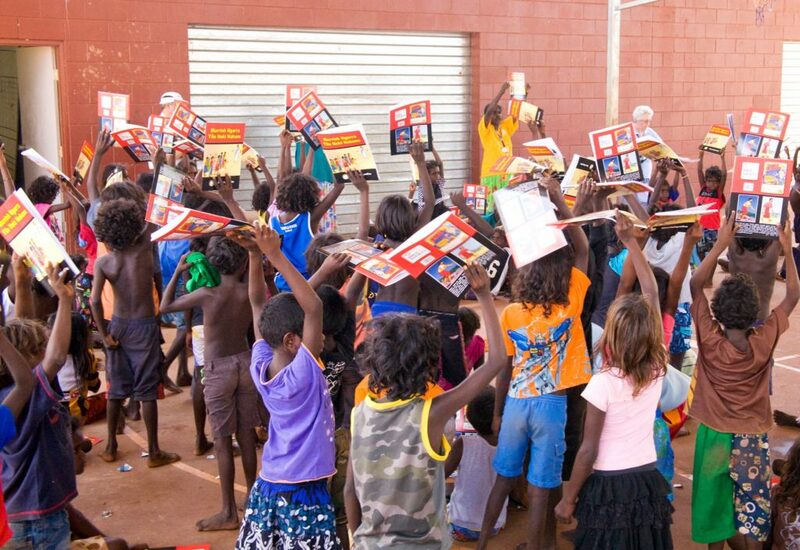 By including a gift in your Will for the mission of Bible Society Australia you are helping to put the Bible into the hands and hearts of a new generation. These gifts create a lasting legacy that assist us in lightening hearts with the message of God’s love found through Jesus and, in the written word, the Bible. 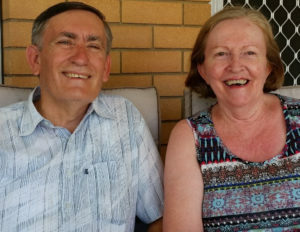 For Greg and Kaye, the Bible became a very important part of their life at an early age. Love for the Bible led to further involvement and more than a decade ago they started supporting the ‘Bible a Month’ programme. They also use the Bible reading and prayer guides in Sower, keeping notes on key thoughts every day. More on Greg and Kaye's story coming soon. 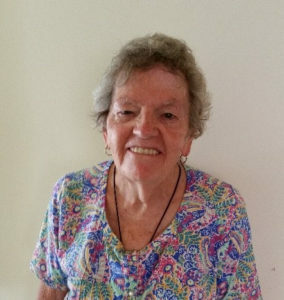 More on Pat's story coming soon. In the last decade, a bequest helped to pay for Bible delivery vans in China. Neville was passionate about China and wanted to help get Bibles from the print room into the hands of local people. He helped to fund several delivery vans during his lifetime and then left a bequest that provided another two vans through his Will. 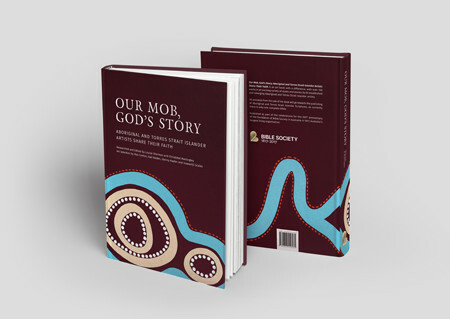 “Our Mob – God’s Story” showcases the talents of Christian artists from Aboriginal and Torres Strait Islander communities. This beautiful book was established when Glenn, the administrator of Mrs Kath Carrigan’s estate, was given a substantial gift for his work. That gift inspired Glenn to create a memorial to his client’s Christian faith. Profits from book sales go towards publishing future Bible translations, which is a fabulous outcome from a gift that essentially keeps on giving. Another bequest made provision to supply the Gospel of Luke for outreach in Australia. In an amazing tale about God’s provision, Lawrie made out his Will in the mid 2000’s. When Lawrie passed away in 2017 Bible Society had just published 10,000 copies of Luke’s Gospel for use as an evangelistic tool. Imagine our amazement and gratitude that this bequest gift was prepared some 10 years prior to it being needed, and was received right at the time the Gospels were printed! Please Note: Some Bible Society supporters may wish to direct their bequest generally towards programmes or projects of their choice such as our literacy programme or Bible translation projects. However, we do not recommend directing bequests towards specific projects or particular programme locations as these may be completed before the gift is realized. Planning our Will is one of the most important and personal decisions we may make. And it is vital that all matters are thought through carefully along with relevant information to help in the decision-making process. Here are some of the questions about bequests that come up the most in our conversations with Bible Society supporters. What about our children and other loved ones? family and other loved ones come first. After taking care of their needs in your Will you might consider a gift for Bible Society and your other favourite charities. What does it cost to include a bequest in my Will for Bible Society? Costs for updating a Will with a solicitor vary and usually depend on the complexity of the Will, which dictates how much time is required to draft the Will. A simple codicil to amend your existing Will may be added at any time without cost - view our codicil form here. If you choose to add your bequest for Bible Society when you next revise or update your Will there would be no extra cost to you. How do I make a bequest for Bible Society in my Will? If you would like to leave a bequest for Bible Society in your Will you may wish to use our suggested wording. As always, we encourage you to take care of your loved ones first before considering what you may like to leave to Bible Society and your other favourite charities. If you have tithed as part of your faith life, perhaps you may wish to give a tithe portion of your estate to charity after giving the rest to your dependents? Taking legal and/or professional advice and discussing these matters with appropriate family members is a sound part of the decision-making process. How does Bible Society use bequests? Bible Society applies bequests to our programs and projects, which include translating the Bible into other languages, supplying Bibles, literacy and education programs. 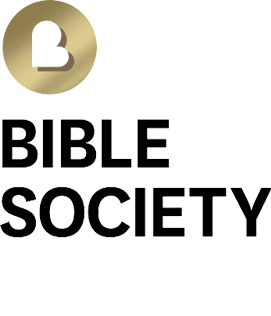 Essentially, Bible Society aims to fulfil our mission to provide the Bible to people in a language they can understand, in a format they can use, and at a price they can afford, which is often free. To help Bible Society achieve these ends bequests that are more generally worded are best. This allows us the most flexibility to be able to direct the bequest towards the greatest needs at the time. Can I leave a bequest for a specific program or project? 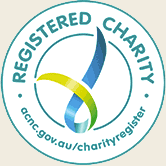 Can I have someone at Bible Society Australia act as my executor or trustee? An organisation or its personnel should not act as an executor or trustee of an estate that it is named in as a beneficiary as this creates a potential conflict of interest. It is best for you to use your own trusted professional agent, friend or family member as your executor or trustee. Can my Will be challenged through the legal system? Your Will can be challenged and so if you have a desire to exclude an individual from your estate it is important to make your reasons clear in the text of your Will. When preparing your Will it must be witnessed by two adult people of sound mind and who are NOT beneficiaries or spouses of beneficiaries. Their names and addresses need to be printed when signing as witnesses to your Will. They need not be privy to the contents of your Will as they are witnessing your signature. For your Will to be valid it must be properly worded and your signature witnessed.